Wilmer Valderrama & RelativityREAL Executive Produce new docu-series. Tr3s: MTV, Musica y Mas, the bilingual/bicultural entertainment destination for Latinos in the US, announces the premier of the new docu-series The Ricardo Laguna Project under Executive Producers Wilmer Valderrama and RelativityREAL. The new series takes a look inside the outrageously amusing life of bilingual/bicultural BMX star Ricardo Laguna as he attempts to break 3 world records and start his own family business – all while balancing his close knit Latin family and the enticing social scene in Las Vegas. 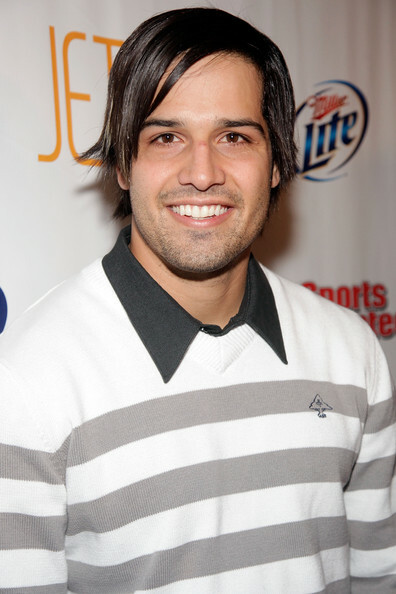 Tr3s will produce eight 30-minute episodes of The Ricardo Laguna Project, which premiers every Wednesday at 9pm (ET), starting March 14th, 2012. “When I met Ricardo, I immediately discovered a disarming, charming and inspiring young man with a vision larger than even his whole family expected. I related to him on so many levels. Ricardo and his family remind me and all of us the reason why we move away from our countries and come to America to embark in the search of the American dream,” commented Valderrama. Moving from La Paz, Mexico to the states at the age of 13 was a struggle but looking back Ricardo merits his familia for his extraordinary bilingual/bicultural experience. Even after turning pro at 21, Ricardo chose to continue living with his parents. Now at 29, he’s left the nest but didn’t stray too far from home or dinner time with family. Ricardo has been riding for more than a decade and holds multiple titles including the Best Latin-American Dirt Jumper in 2004. Since then, the BMX renaissance man has joined the X Games, competed nationwide and mentored youth across the country – all while keeping a steady (and responsible) presence in the Las Vegas social scene. The Ricardo Laguna Project is produced by RelativityREAL and Myra Santiago, Director of Production for Tr3s: MTV, Musica y Mas. Wilmer Valderrama and RelativityREAL’s Tom Forman, Brad Bishop and David Brown serve as Executive Producers.